Buckle up car lovers, because Honda has a new vehicle you’ll definitely want to get behind the wheel of. 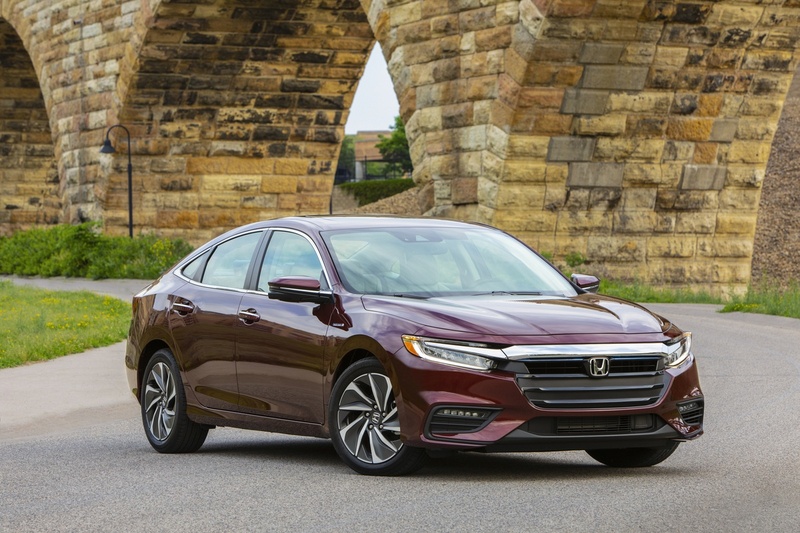 The new 2019 Honda Insight is launching at Honda dealerships nationally this summer, and there’s no doubt it will do well on the market. We Canadians love our cars, in fact, The Huffington Post found that Canadians bought a record-setting number of cars in 2016. With findings like that, it’s no mystery why we’re so intrigued by the 2019 Honda Insight. The Insight’s design is intended for the most efficient driving experience possible. Senior Vice President of Honda Canada Inc., Jean Marc Leclerc says “the 2019 Honda Insight shows consumers that the efficiency of a hybrid car doesn’t mean sacrificing style, refinement or performance.” Do we have your attention yet? Let’s look at some of the outstanding features this vehicle has to offer. The sophisticated new Insight has a sleek sedan design, excellent speed control, and is also designed for fuel efficiency. Room for five passengers, and also comes with tech features including Honda Sensing and Apple CarPlay and Android Auto integration. Low dash and a digital display that is easy to use. Powered by Honda’s innovative and efficient two-motor hybrid system, Insight’s 151 net system horsepower combines with a lightweight structure to deliver the best power-to-weight ratio in its class. Low-profile LED headlights and taillights. Insight offers 112.7 cubic feet of room inside, including 15.1 cubic feet for the trunk. Soft-touch instrument panel with real stitching, ergonomically sculpted seats, a 7-inch TFT colour digital driver’s meter, standard heated front seats and available leather-trimmed seating. Noise cancellation technology to keep outside noise to a minimum. High level of standard premium features, Insight’s Manufacturer’s Suggested Retail Price starts at $27,990. For more information about the 2019 Honda Insight and other new Honda vehicles, visit the Ottawa Honda Website today!